Property owners in San Diego live with sunny weather and warm temperatures, with rain only making a rare appearance throughout the year. However, as beachy as life can be in San Diego County, sometimes incidents can occur in your home, and your attic, in particular, that can require you to reach out to the professionals at 911 Attic Services. The full restoration company provides insulation installation, attic cleanup, crawlspace cleanup, and rodent proofing services that will keep your entire home safe and clean. If you are unsure if you need the help of our technicians, we will work with your schedule to provide property owners with a free inspection and estimate to tackle any issues they may find. Most attics can be cleaned up, insulated, or rodent proofed in one day, and we schedule within 2-hour windows, so you never have to wait around for our attic cleaning technicians. 911 Attic Services is able to serve all San Diego County, including Escondido, Chula Vista, and Oceanside. So, call us when you need an attic or crawlspace cleaning, and we will give you the fresh start you deserve! Proper insulation is the key to keeping your home comfortable, safe, and energy efficient. If the insulation in your attic is damaged or if your crawlspace has a lack of insulation, then you need the help of 911 Attic Services. We offer both Blown-In insulation and Batt insulation made from fiberglass and cellulose material. 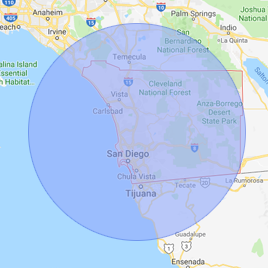 The goal is to provide all of San Diego County with quality materials and workmanship to make sure the homes in the area are ready for any weather. Attic insulation needs to be replaced every 20 years when it is cared for properly, but external factors can damage the insulation enough to require a sooner replacement. Insulation helps your property regulate its internal temperature so that during the hot and cold months you will use less energy, which translates to lower electric bills. It can become worn down from heat, water damage, rodents, and mold, all that can render your insulation useless. The insulation installation specialists will remove old insulation and replace it with new, high-quality Batt or Blown-In insulation. 911 Attic Services will help you decide which insulation is perfect for your home, as well as provide sanitation, cleanup, and restoration services, so give us a call today! Many homeowners do not realize the impact that a cleaned and correctly insulated attic can have on your home. Having a clean attic that is insulated properly will help maintain the desired temperature of the home and keep your energy bill low, especially during the warmest and coldest months. For your insulation to last the entire 20-year lifespan, it is essential to keep it clean and free from rodents, mold, and moisture. 911 Attic Services offer attic decontamination, rat attic cleaning, and low attic cleaning costs to property owners throughout San Diego. If you discover rats or insects in your attic, then the insulation is most likely affected by these elements. The attic cleaners will remove the damaged insulation and reinstall the attic insulation. When you need to find attic cleaners in San Diego County, call 911 Attic Services. 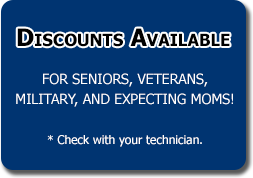 Their IICRC certified technicians will give you the peace of mind you need. A home’s crawlspace, also known as a subfloor, plays a vital role in keeping the household safe and clean for you and your family. The crawlspace keeps the structure off the ground to protect it from the elements and to keep rodents and insects from getting inside the home. However, since it is a confined space, it is susceptible to becoming filled with dirt, debris, and small animals, as well as trapping in cold and warm temperatures that may lead to condensation. When your crawlspace is insulated correctly, the outside temperature will not be able to penetrate the interior flooring and affect the internal temperature. It will also stop condensation from being created and causing a mold infestation. 911 Attic Services will inspect your insulation to make sure it is doing its job. If they find that the crawlspace is dirty, wet, and infested with rodents, then their technicians will recommend a complete crawlspace cleanup, including an insulation installation. Call the crawlspace cleanup crew in San Diego to inspect your subfloor, and they will ensure that it is dry and clean to keep your household feeling comfortable and running smoothly. The warm, confined space in your attic makes the ideal home for rats and other rodents to live and breed in, usually without you knowing until a substantial infestation has already taken place. Rats, in particular, transmit diseases to humans and pets, many which can become airborne and spread through the dust contaminated with rodent urine or droppings. For you to stay safe, it is important not to expose yourself to an attic with a rodent infestation and instead let the experienced rodent control team at 911 Attic Services handle the job for you. Attic decontamination is a crucial step in our rodent proofing process. Removing all signs of a past infestation is the best way to prevent a future infestation from occurring. Since most rat problems beginning in the attic, our technicians will inspect the area and implement thorough rodent cleanup efforts, which includes removing dropping, urine, odor, and carcasses. So, if you hear scratching in the attic or walls, call 911 Attic Services and their rodent proofing experts will ensure that rats and other pests won’t invade your home or your life, ever again.